Last year Razer announced its Quartz Pink collection that featured several of its gaming devices in pink. 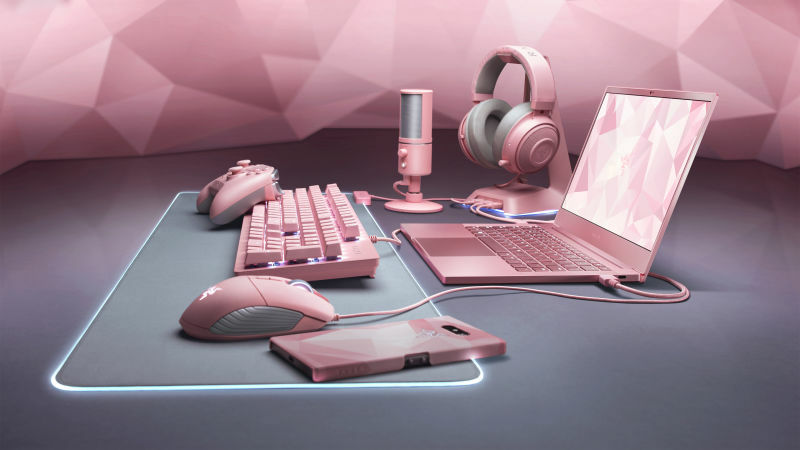 Now, with Valentine’s Day in less than a month, Razer add more devices into the collection, slapping on the beautiful pastel pink onto each device. 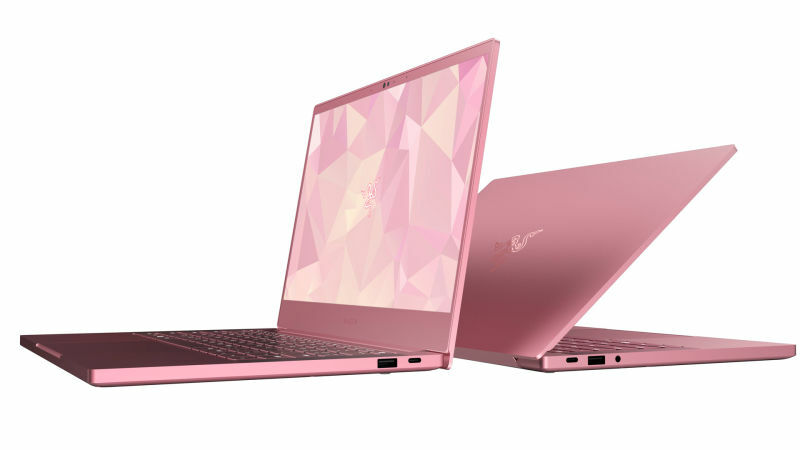 What caught my eye is the Razer Blade Stealth 13 Quartz Pink laptop that sets you back $1,599.99. The laptop comes with 13.3-inch FullHD Matte display with 4.99mm slim side bezels and is powered by 8th Gen Intel Core i7-8565U processor paired with NVIDIA GeForce MX150 4GB graphics. 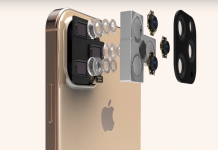 In addition, it comes with 16GB RAM and 256GB PCIe M.2 storage. Even the Razer logo took on the pastel pink to match the whole laptop’s skin, and every part of the laptop just blends well together. 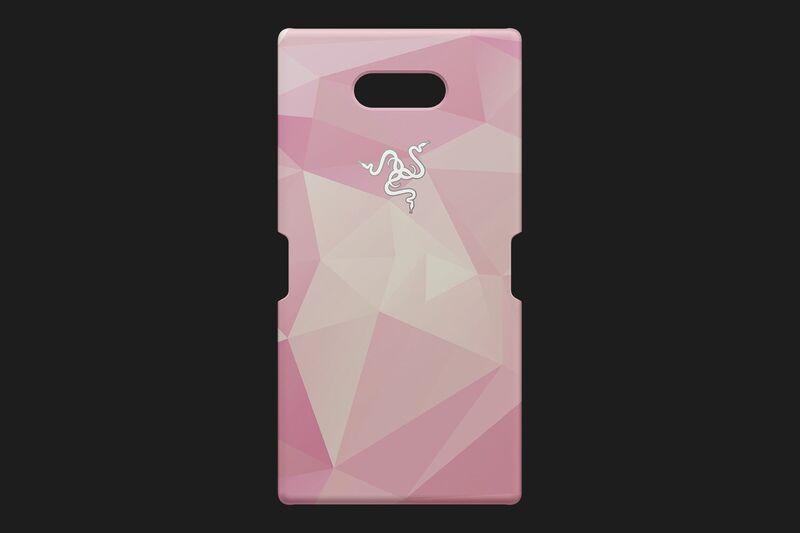 This Quartz Pink edition is available in US, Canada and China. 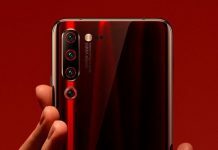 For all you Razer Phone 2 users, the company also came up with a Quartz Case for its new phone. 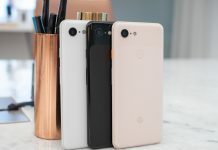 Retailing at $24.99, the case is made of polycarbonate and has a geometric-like design on its back featuring different variants of pastel pink. That aside, Razer also made a Quartz Edition for the Razer Raiju Tournament Edition, a wireless PS4 controller that comes with four remappable multi-function buttons and the Hair Trigger Mode that allows quick-firing action, in addition to its Mecha-Tactile Action Buttons that are made for comfort and tactile feedback. This console will cost you $149.99 and is only available in Europe, Asia and Oceania. 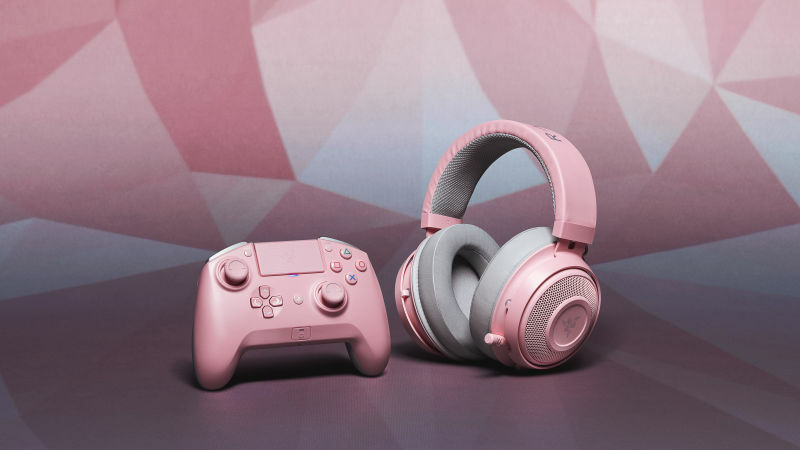 Besides that, the company also brought in the Razer Base Station Chroma and the Razer Kraken into the Quartz Pink collection. Not only is the Razer Base Station Chroma a detachable headphone stand, it is also integrated with three USB3.0 SuperSpeed ports and has an anti-slip feet. On the other hand, the Razer Kraken comes with bauxite aluminium frame, has thick headband padding with cooling gel-infused cushions, and comes with an analog volume control wheel and a microphone quick mute toggle. 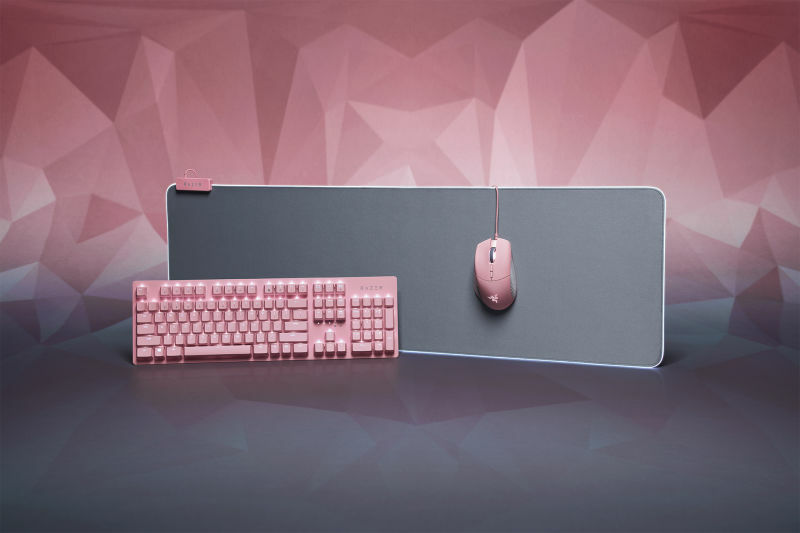 The base station comes in full pink except for the bottom part that supports Razer Chroma and the headphone is mostly pink with the silver-grey ear cushions and headband padding. The Razer Base Station Chroma is priced at $59.99 whereas the Razer Kraken is priced at $79.99. 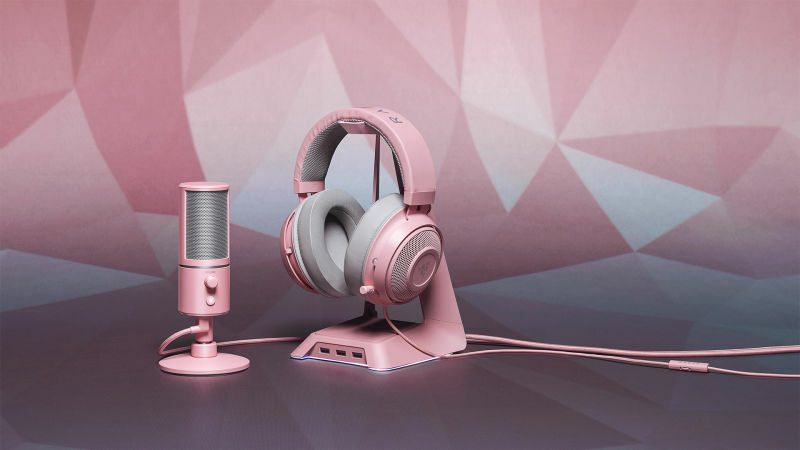 The company also made sure to include something for streamers, because the Razer Seiren X Quartz microphone is a condenser microphone that has built-in shock mount to dampen vibrations and comes with a zero-latency 3.5mm headphone monitoring port, and the company made sure that everything is pink, including the USB cable and the support rod. If you’re interested in getting the Razer Serien X, be prepared to fork out $99.99. 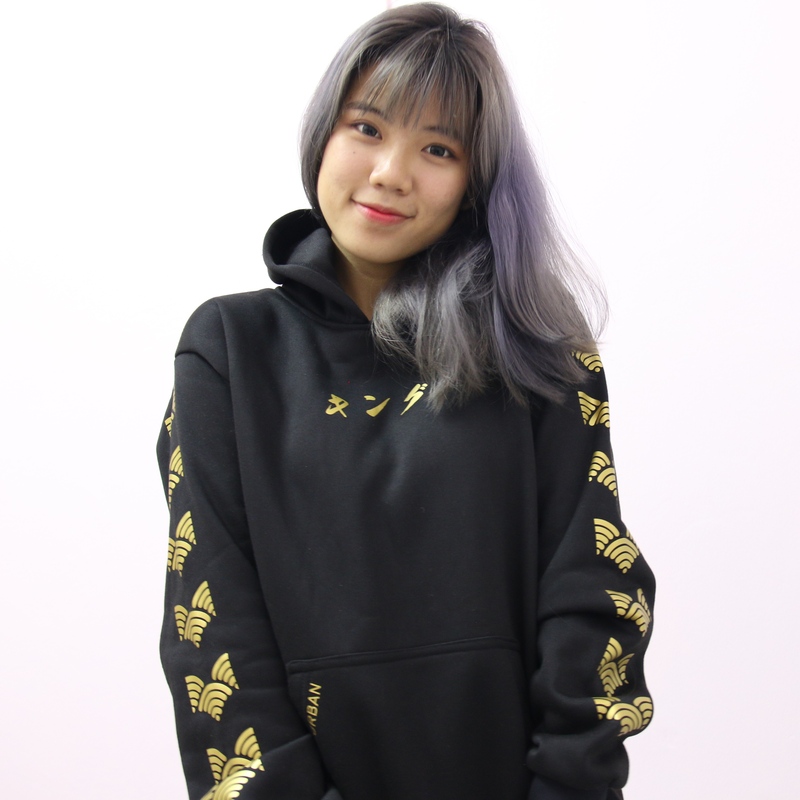 Of course, the company still has its previous Quartz collection products such as the Razer Basilisk mouse, the Razer Goliathus Extended Chroma mouse mat and the Razer Huntsman keyboard. 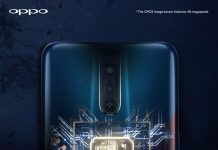 For more details and pricing information, do visit https://www.razer.com/campaigns/quartz.